By now you’re all very well aware that my love of cookie dough runs DEEP. 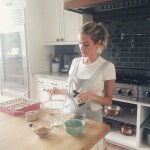 I was totally that kid sneaking the Toll House straight out of the fridge & then regretfully praying I didn’t end up with Salmonella… If you’ve been following me on Instagram for some time now, you probably have noticed that I’ve found a new favorite that is totally safe to eat & the most delicious EVER! Yes, dream come true, I know. 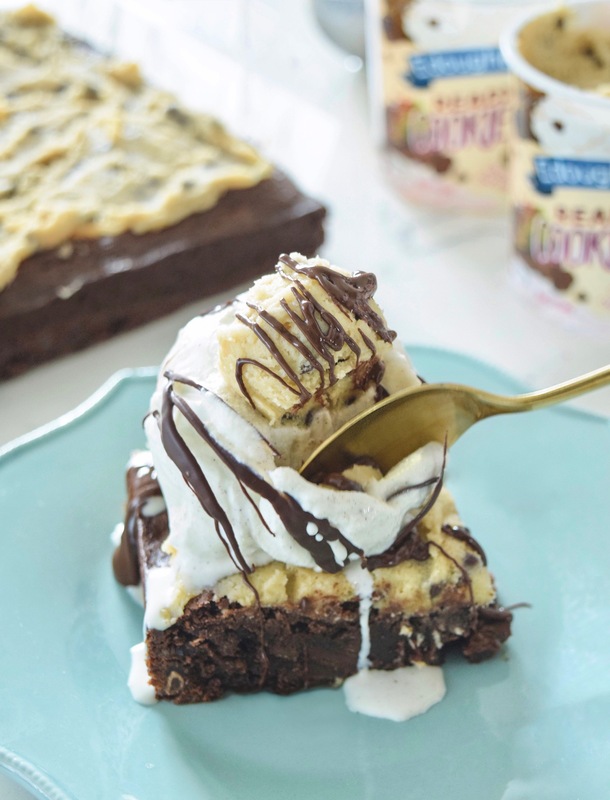 I crashed Edoughble founder Rana’s kitchen to hear all about how she started this magical company, all about her favorite Cookie Dough Brownie Sundae recipe, & much more! Let’s be honest, just one look at this dessert & I doubt you’re doing anything but scrambling to find all these ingredients. I totally get it but when you’re done whipping it up, here’s a little more about one of my favorite companies. Edoughble, made right here in sunny LA, is made by hand in small batches which helps to guarantee it’s freshness, safety (hey, raw anything can be tricky to serve! ), & deliciousness. Made with non-GMO ingredients that are all-natural, Rana is particular about the types of products she keeps in her kitchen. One thing many cookie dough fanatics don’t realize is it’s not just the eggs that make it unsafe to eat, notes Rana, “the flour must be heat-treated as well”. 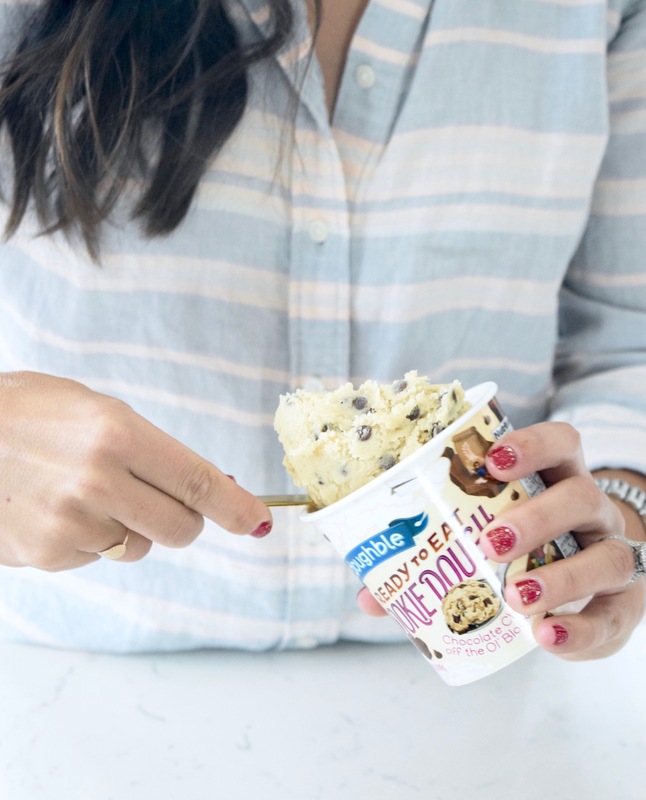 Thankfully Rana has mastered the art of edible cookie dough (aka Edoughble) & it’s now available to ship nationwide in over 15 flavors! Preheat oven to 350 degrees F. Line a 13x9x1.5 inch sheet pan with parchment paper. 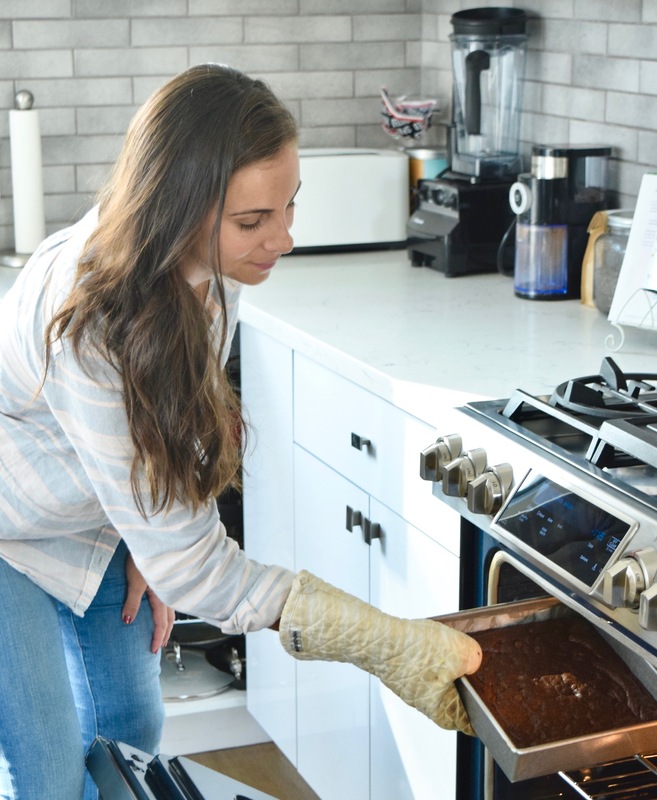 In large, microwavable safe mixing bowl melt together the butter, chocolate chips, & unsweetened chocolate in 30 second intervals stirring in between until fully smooth. Mix in the eggs, vanilla, & sugar. Let mixture cool for 5 minutes. 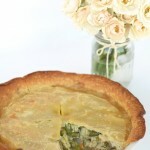 In separate large mixing bowl, combine flour, baking powder, & salt. Add the chocolate mixture to that bowl & stir to combine. 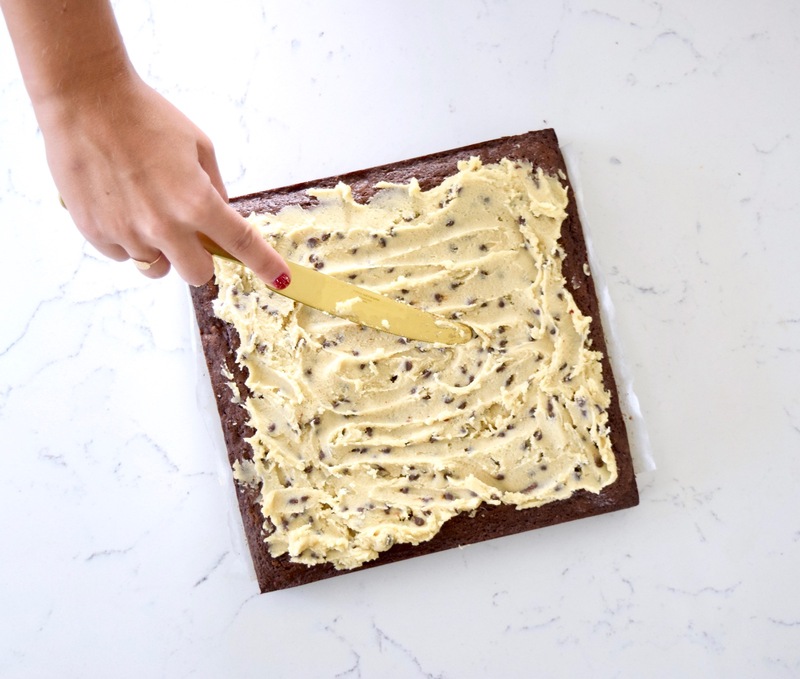 Mix in the chocolate chips & pour into the sheet pan. 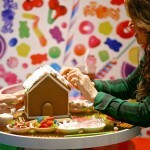 Bake for 30 minutes or until toothpick is inserted & comes out clean. Let cool completely on wire rack. 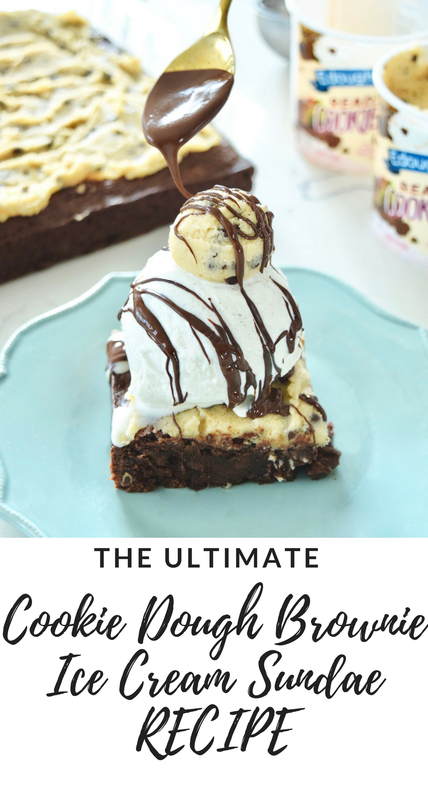 Top with jar of Edoughble & serve with ice cream, chocolate syrup, or other desired toppings! 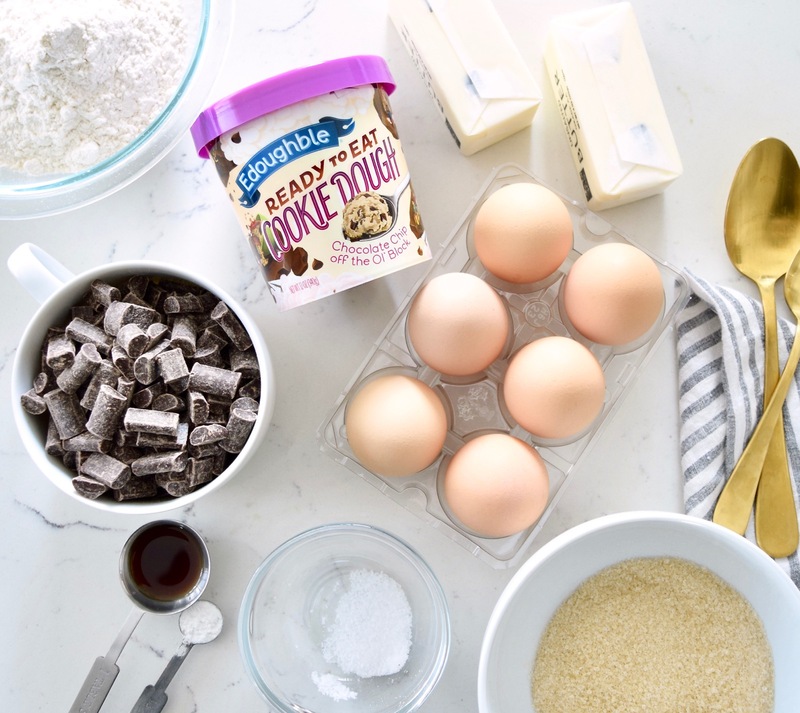 Cookie dough is such an irresistible treat, and the pre packaged edoughble sounds delicious! 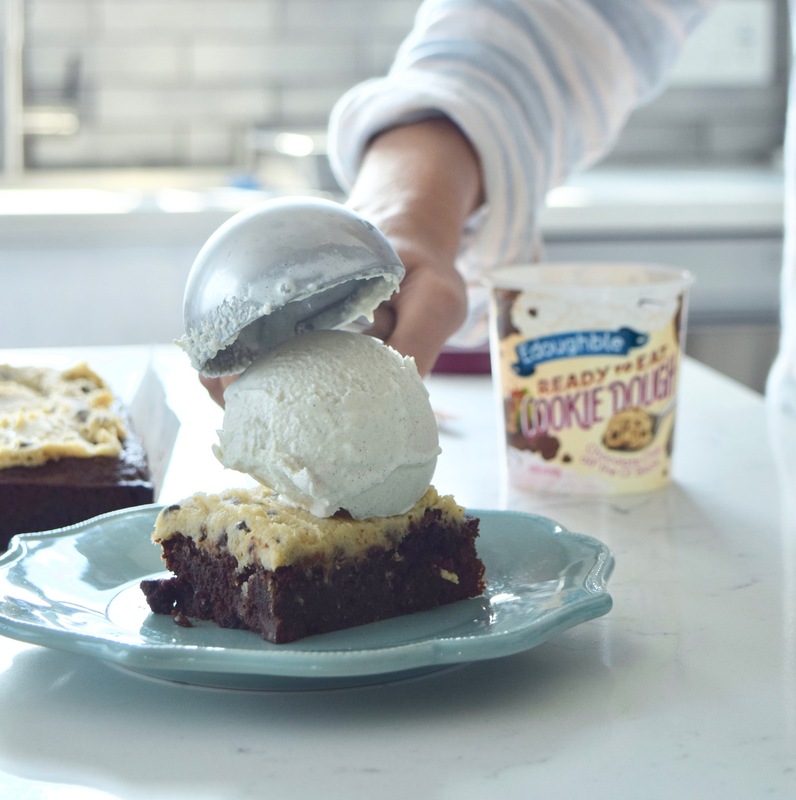 Topping brownies with ice cream and cookie dough is clearly a winning combination, so perfectly indulgent! Yay so glad you liked it!! It’s beyond delicious!